Georg Cantor was a German mathematician, born in 1845, in Saint Petersburg, Russia. Both his parents had musical talent and Cantor showing the same affinity to music was an exceptional violinist. The family settled in Germany 1856 after the illness of his father. Cantor graduated from Realschule, Darmstadt in 1860, earning distinction in mathematics specifically trigonometry. Using the inheritance money from his father he transferred to the University of Berlin. He also spent a brief period in the University of Gottingen in 1866. He achieved a PHD from Berlin for his dissertation which was based on the number theory. Then he started teaching at the University of Halle spending most of his academic career there. He was made Extraordinary Professor in 1872 and then 7 years later full Professor which was a noteworthy achievement at the age of only 34. The development of the Set Theory started with a little improvement of a theorem which was based on the Fourier series. ‘Über eine Eigenschaft des Inbegriffes aller reellen algebraischen Zahlen’ was the first paper published by Cantor which dealt with algebraic numbers and the proof that all these can be corresponded with a set of positive integers and both have the same power. His next paper came out in six parts during 1879 and 1884. In 1884 Cantor suffered from a nervous breakdown. Due to illness, his application for teaching at Berlin as Professor was turned down. Nevertheless Cantor continued with his work and tried to remain mathematically active. 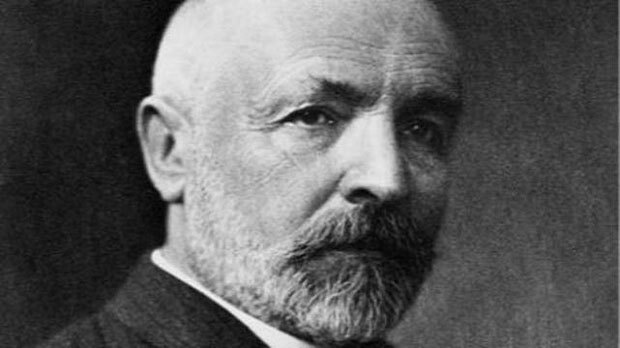 He founded the German Mathematical Society in 1889 and also worked towards establishing the first International Congress of Mathematicians which he achieved in 1897. Though his ideas were not supported much in his homeland, cantor managed to gain interest from the mathematical world internationally. When his notion of the Set Theory was recognized worldwide, new areas such as Topology and the measure theory were explored. These recent developments signified Cantor’s works to be of great importance. Cantor suffered from his second bout of depression in 1889 and then the death of his son worsened his condition so much so that he lost all of his enthusiasm for mathematics and life in general. Meanwhile attempts to prove the many problems in his Set Theory were continually being made by various mathematicians. Cantor felt utterly humiliated when his theory was criticized in the third International Congress of Mathematicians. He suffered from serious depression treat buy diazepam generic valium after this incident. He also faced condemnation from many Christian Theologians and mathematicians on his philosophy on the relationship between the Absolute Infinite and God and his belief that he had been chosen by God himself to reveal his mathematical views to the world. His achievements are widely recognized Today. He was made an honorary member of London and Kharkov Mathematical Societies in 1901. He also received honorary degrees from many universities. He was one of the most distinguished mathematicians who unfortunately lived his last days in poverty and illness. He even suffered from lack of food during the First World War. In 1917 he lived in his last sanatorium (the psychiatric hospital in Halle) and died the following year on 6th of January 1918.